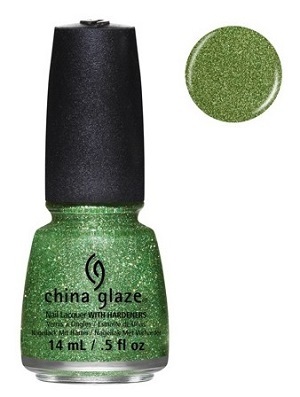 China Glaze Nail Polish, This Is Tree-Mendous, 1261, .50 fl. oz. Light green, emerald and gold micro-glitter in a sheer tinted base.